Every year around the first week in February, football fans from across the country stay glued to their televisions and phones to catch possible history being made. 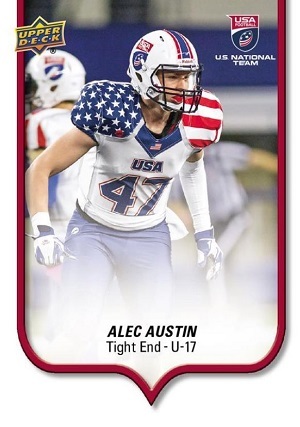 You might think I am talking about the Super Bowl, but you’d be wrong. 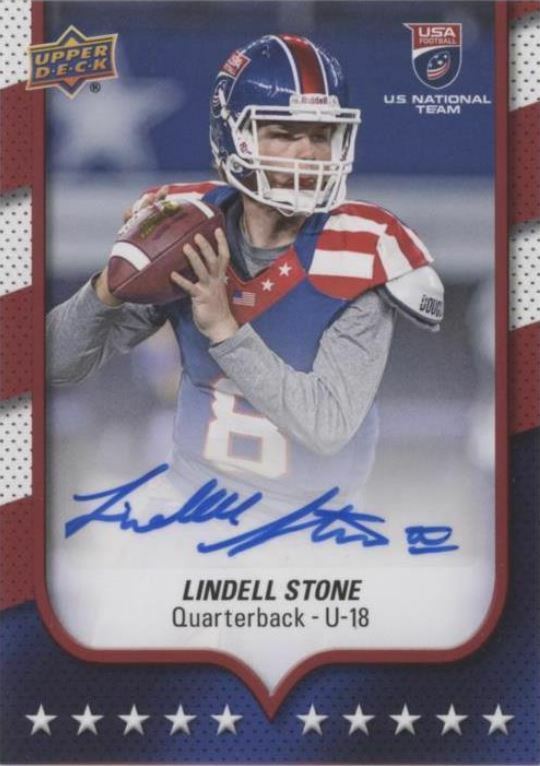 The “holiday” I refer to is National Signing Day where young athletes sit surrounded by loved ones and photographers, while facing down a usual “three-count” of hat options, each representing a different college they may choose to play with. National Signing Day is the first step for a young recruit to start their professional development in their quest to get to the professional level. 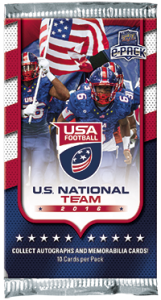 Here athletes make that harrowing choice of what coach to follow, what colors to wear, along with what mascot and student body will be cheering them on. 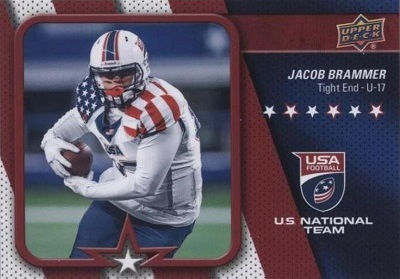 In a quest to be identified by the best schools, some of the best prospects play for the national USA Football Team where they hone their skills for the next level. 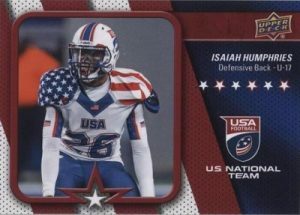 USA Football has been able to develop great young talent that have been able to make it into top college football programs around the country and even produced professional stars like Jameis Winston and Todd Gurley Jr. 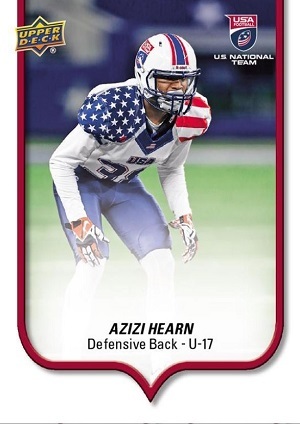 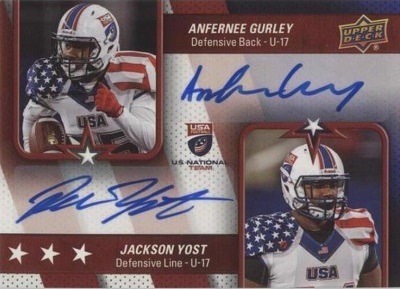 Both players had their start and first-ever trading cards from Upper Deck while wearing the USA Football jersey. Upper Deck brings you the most recent crop of USA Football athletes with 2016 USA Football exclusively on UpperDeckEpack.com. Here you might be able to find some autographs or memorabilia cards of future star quarterbacks, wide receivers, or running backs. 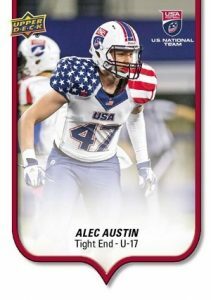 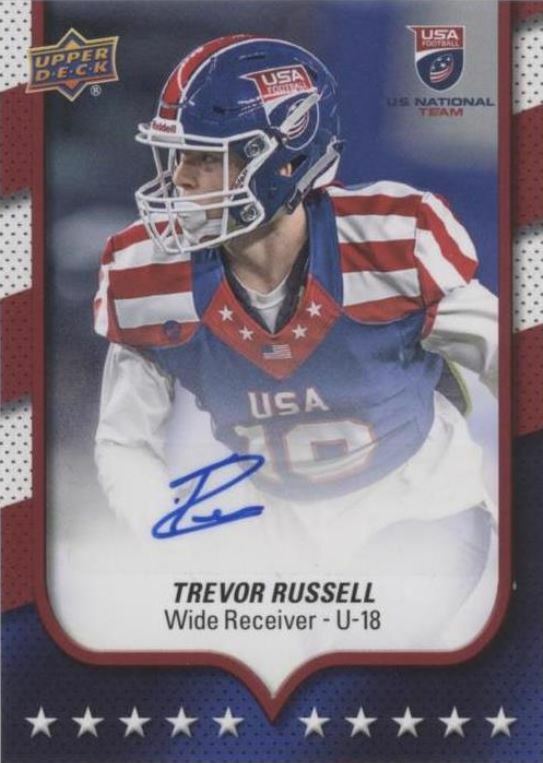 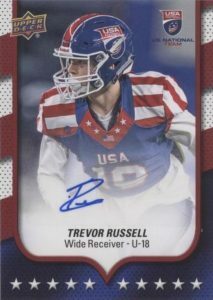 Here is a look at a few USA Football alumni who have recently committed to some major colleges and universities this year and a look at their Upper Deck cards. Look for 2016 Upper Deck USA Football available exclusively on Upper Deck e-Pack!